Colorado Preservation, Inc listed Inter-Laken as one of Colorado’s Most Endangered Places in 2001 due to the poor condition of the buildings, which were boarded up and inaccessible to visitors. The extreme weather conditions combined with lack of regular maintenance were leading to this premier historic site being lost and forgotten. Inter-Laken Resort was constructed as a playground for the upper class of Leadville society during Colorado’s mining heyday. The site, originally known as the Lakeside House, was built by John Statley and Charles Thomas in 1879. In 1883, Leadville mining magnate, James Dexter, bought the site and developed the Inter-Laken Resort with an upscale hotel that boasted two elegant dining rooms, a dance hall, barn, and laundry. 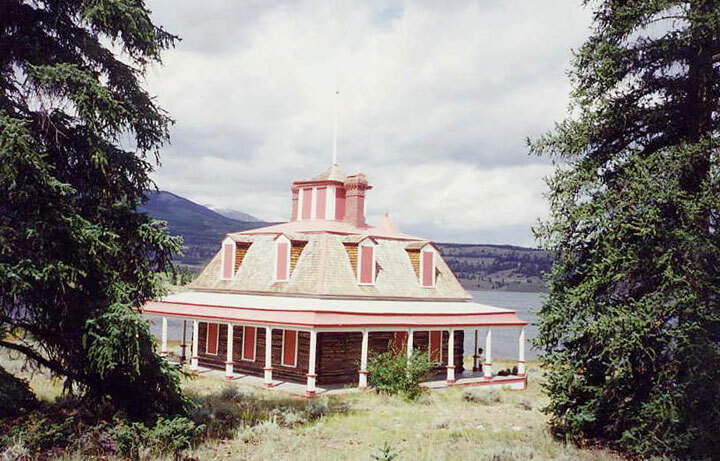 Set along the shores of Twin Lakes, guests could explore the Rocky Mountains, play croquet, fish, ride horses, hike, and use canoes, rowboats, a 50-foot steamboat called “Ivywild” and the 30-foot yacht “Dauntless.” After the turn of the century, the resort lost its popularity and the hotel closed. The site features a variety of architectural styles, and is listed on National Register of Historic Places. Inter-Laken’s significance was clearly recognized by the Unites States Forest Service, Colorado Preservation, Inc., the National Trust for Historic Preservation, Colorado Mountain College, and numerous other organizations and volunteers, who invested time, resources and over $1,000,000 to restore and rehabilitate the buildings. The volunteer effort was based loosely on the Habitat for Humanity model with a group of master woodworkers, the Michigan Volunteers and the Teacher’s Restoration Corps, primarily from Wisconsin. 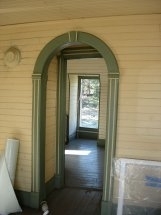 Architectural reconstruction was supervised by Harrison Goodall of Conservation Services, Inc. The site is owned by the U.S. Forest Service (USFS), who has instituted a program of converting structures such as these along trails for overnight use by visitors, with Inter-Laken at the top of the program’s list. 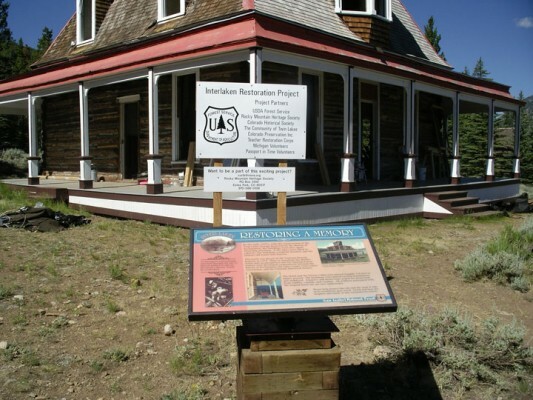 The USFS has installed interpretive signage on site and teamed with the Rocky Mountain Heritage Society and the Rocky Mountain Region Heritage Program to undertake a 4-year project to restore buildings at the Inter-Laken site. The State Historical Fund granted an award to conduct on-site repair and renovation to the buildings. While several of the buildings on the site have been restored the hotel building and others are in need of restoration. CPI is working with the U.S. Forest Service to plan a future weekend workshop and help secure the open buildings. Until recently, work had been stalled on the site. The site needs funding for restoration, and reuse plans for the larger buildings.